The Alt family came from Washington Co. Maryland. They first migrated to near Harpers Ferry, Jefferson Co., VA. About 1816, some of the family began migrating to Ohio, settling in Ross County. In May 1817, Adam and Jacob Alt III migrated to Clark Co., OH. In the late 1830s, the Jacob Alt III family moved to Henderson Co., Illinois and from there to Johnson Co., Iowa. My ALT line stayed in Clark Co. Ohio. The oldest known is Jacob ALT I b. abt 1725. His son, Jacob ALT II, married Elizabeth MOLER in Berkeley, Co, VA. Two of his sons married two DREW sisters. Jacob ALT III married Mary DREW. His brother Adam ALT married Mary's sister Maria DREW. Our ancestors Adam and Maria ALT had 10 children in Springfield, OH. Their 5th child, Mary Ellen ALT married Alonzo RICE, the son of Edward RICE and Lucy POOLE. Alonzo RICE and Mary Ellen ALT had five children. Their 4th child, Mary Belle RICE married Wesley MCDONALD and their daughter Flora Belle MCDONALD was my grandmother. She married Arthur Lester FOLEY in Springfield, OH on Dec 12, 1911. They were the parents of my mother, Barbara Lou FOLEY who married Jack Allen MARTIN in Springfield on June 9, 1945. Assistance with research and some of the photos on this page was provided by my cousin, Priscilla Boswell. It is her 30 years research that provide all of the first two ALT generations listed here, and I have concentrated on the Clark Co, OH ALTS. Her line is Jacob ALT III. My line is Adam ALT, his brother, both sons of Jacob ALT II. You can contact me, Janie Martin Whitty or Priscilla from the CONTACTS LISTS at the bottom of this page. If you are an ALT Descendant and wish to have your e-mail added to our contacts list, please e-mail me. Maria Drew and Adam Alt abt. 1870. The back was labled "Uncle Ad and Aunt Maria"
Photo by J. Coss, Main St., above the Mad River National Bank, Springfield, OH. Springfield, Ohio. 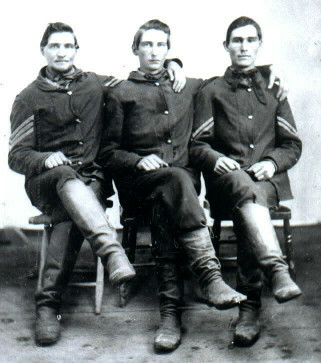 Sept 2, 1861, Three ALT brothers enlisted in 44th OVI. In March, 1864, the 44th OVI was converted to a Cavalry Unit..the 8th OVC and served to the end of the war. The 3 brothers were the sons of Adam and Maria DREW ALT. L-R: Daniel Drew ALT, Sgt. ; Adam S. ALT, Pvt. ; James A. ALT, Cpl. Daniel Drew ALT (also pictured above, left). Photo courtesy of Ronald D. "Dusty" Rhoads who says the back of the photo says "Uncle Dan Ault". The ALT name changed to AULT by about 1900 for most of these families. Mary Drew Alt Wein ca. 1860s. She was a sister of Maria Drew Alt and was married to Jacob Alt III. After Jacob's death she married George Wein. Married Jacob Alt, then George Wein after Jacob died. The John B. and Eliza ALT HALL Family, Cass Co, Iowa abt. 1896. 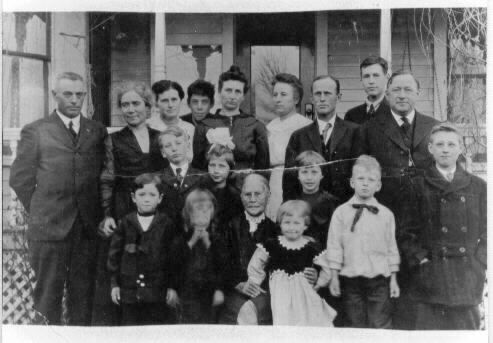 Back row standing l. to r: Emma Stewart Alt(wife of Rollie) Rollie H. Alt (son of Joseph), Roy Alt (son of George), Clem Hall (nephew of Joseph), George J. Alt (son of Joseph), Grace Alt (dau. of George). 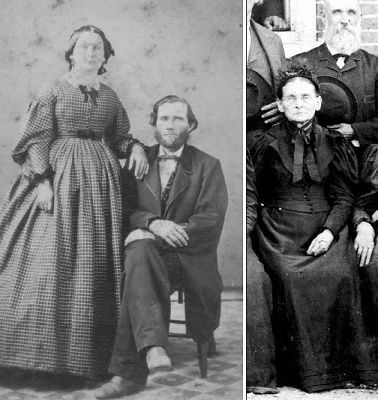 Middle row seated l. to r: Joseph A. Alt, Cecil Alt (son of Rollie), Eliza Kepford Alt. Front row seated l. to r: Milo Alt (son of Rollie), Hazel Alt (dau. of Rollie), Harlan Alt (son of Rollie). The John Wood ALT family, Springfield, Ohio. Standing, L-R: Harry Githen RHOADS, Howard V. AULT, Earl Jessie AULT, George William AULT, Harvey HOWDESHELT. 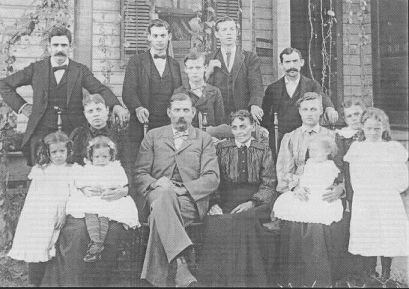 Front row from the left: Kenneth Hall son of Clem and Mary, Elizabeth Hall(blurred) dau of Clem and Mary, Eliza Jane Alt Hall holding Madelene Hall dau of Rube and Laura, Malcom Hall son of Rube and Laura, John Hall, son of Rube and Laura. Photo courtesy of Priscilla Hall Boswell. David Reuben ("Rube") HALL was the son of Eliza Jane ALT and John B. HALL. 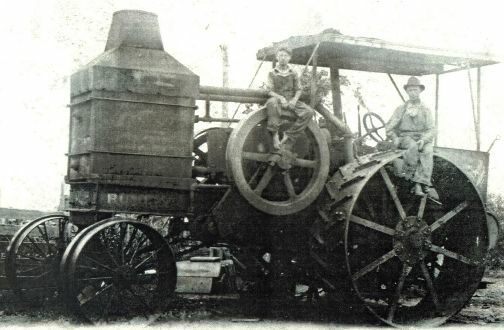 This is a picture of John Carroll HALL and his father Rube HALL sitting on their Rumely Oil Pull Tractor. On the back he had written "About 1915, Rumely Oil Pull, gross wt.approx. 30,000 lbs. , Piston diameter 10 in. 2 cylinders, Rated horsepower, Drawbar 30, Belt 60." Photo courtesy of Priscilla Hall Boswell, PABoswell2@aol.com , daughter of John Carroll Hall. *1. JACOB1 ALT I was born Abt. 1725 in Germany(? ), and died 1770 in Frederick Co, MD. He married MARIA ELIZABETHA UNKNOWN Abt. 1749. 2. i. JOHANNES2 ALT, b. Abt. 1750, Frederick Co.(? ), MD; d. Bef. 22 Mar 1788, Washington Co, MD. 3. ii. HENRICK HENRY ALT, b. Abt. 1752, Frederick Co., MD; d. 1805, Hardy Co., WV. *4. iii. JACOB ALT II, b. Abt. 1754, Frederick Co., MD; d. 06 May 1814, Harpers Ferry, Jefferson Co, VA.
5. iv. WILHELM WILLIAM ALT, b. Abt. 1756, Frederick Co., MD. v. AMERILLIS ALT, b. Abt. 1758, Frederick Co., MD. 6. vi. JOHN ADAM ALT, b. Abt. 1760, Frederick Co., MD. 7. vii. MICHAEL ALT, b. Abt. 1762, Frederick Co., MD; d. 1825. 2. JOHANNES2 ALT (JACOB1) was born Abt. 1750 in Frederick Co.(? ), MD, and died Bef. 22 Mar 1788 in Washington Co, MD. He married MARY MAGDALENA Abt. 1769 in Frederick Co (? ), MD. i. WILLIAM3 ALT, b. Abt. 1770, Frederick Co, Md. ; d. Aft. 1850, Washington Co? MD; m. SUSANNAH DARR. ii. MARIA BARBARA ALT, b. Abt. Jul 1784; m. JONATHAN SMITH, 21 Jul 1801, Berkeley Co., VA.
iii. RACHEL ALT, b. 01 May 1786. 3. HENRICK HENRY2 ALT (JACOB1) was born Abt. 1752 in Frederick Co., MD, and died 1805 in Hardy Co., WV. He married ELISABETH MAHLER 09 Apr 1778 in Frederick City, Frederick Co, MD. 8. i. DANIEL3 ALT, b. Abt. 09 Nov 1799, Hardy Co., WV. *4. JACOB2 ALT II (JACOB1) was born Abt. 1754 in Frederick Co., MD, and died 06 May 1814 in Harpers Ferry, Jefferson Co, VA. He married ELIZABETH MOLER Abt. 1777 in Berekely Co, VA, daughter of GEORGE ADAM MOLER. 9. i. ELIZABETH3 ALT, b. 20 Dec 1778, Berkeley Co(? ), VA; d. 26 Nov 1826, Chillicothe, Harrison Twp, Ross Co, OH. 10. ii. JACOB ALT III, b. 20 Nov 1782, Berkeley Co, VA; d. 11 Nov 1833, Harmony Twp, Clark Co, OH. 11. iii. MARGARET ALT, b. Abt. 1785, Berkeley Co, VA.
12. iv. WILLIAM ALT, b. Abt. 1792, Berkeley Co, VA; d. 25 Jan 1859, Chillicothe, Ross Co, OH. *13. v. ADAM ALT, b. 25 Mar 1797, Berkeley Co,VA; d. 10 Mar 1874, Springfield, Clark Co., OH. vi. SUSANAH ALT, b. Abt. 1801, Jefferson Co, VA; m. JACOB DAVIS, 23 Jun 1818, Ross Co, OH. 5. WILHELM WILLIAM2 ALT (JACOB1) was born Abt. 1756 in Frederick Co., MD. He married RACHEL UNKNOWN Abt. 1785.
i. JOHANN WILHELM3 ALT, b. 17 Dec 1786; m. SUSANNA ULM, 20 Aug 1815, Loudoun Co., VA.
ii. JOHAN ADAM ALT, b. 16 Sep 1788.
iii. MARIA ALT, b. 09 Jan 1791; d. 09 Jul 1794.
iv. JOHANNES ALT, b. 20 Oct 1792; m. MARIA JULIANA SPRING, 07 May 1818, Loudoun Co, VA.
v. CHILD ALT, b. 17 Mar 1795; d. Mar 1796, Loudoun Co., VA.
vi. CATHARINE ALT, b. Jul 1797; d. 08 Aug 1804, Loudoun Co., VA.
vii. RACHEL (OR REGINA?) ALT, b. 29 Dec 1805; m. MICHAEL SPRING, 23 Jun 1822, Loudoun Co., VA.
6. JOHN ADAM2 ALT (JACOB1) was born Abt. 1760 in Frederick Co., MD. He married MAGDALENA RIDENOUR Abt. 1796.
i. BALLY3 ALT, b. 01 May 1797.
ii. ELIZABETHA ALT, b. 24 Apr 1799.
iii. MARTIN ALT, b. 26 Jun 1801.
iv. SUSANNA ALT, b. 05 Jan 1803.
v. SARAH ALT, b. 15 May 1806.
vi. CHRISTINE ALT, b. 17 Mar 1807.
vii. ADAM ALT, JR., b. 1808; d. 1835.
viii. SAMUEL ALT, b. 1810. 7. MICHAEL2 ALT (JACOB1) was born Abt. 1762 in Frederick Co., MD, and died 1825. He married MARY BOOTS, daughter of ADAM BOOTS and BARBARA. 14. i. JACOB3 ALT, b. 1797.
iii. WILLIAM ALT, b. 1806; m. AMANDA JUDY. iv. BARBARA ALT, m. DANIEL KETTERMAN. v. JANE ALT, b. 1807.
vi. ISAAC ALT, m. (1) SUSAN MALLOW; m. (2) BARBARA LOUGH. vii. ELIZABETH ALT, m. CHRISTIAN ROHRBAUGH. viii. MARY ALT, b. 1812; m. JACOB ROADS. ix. SUSANNAH ALT, m. JOHN ROADS. 8. DANIEL3 ALT (HENRICK HENRY2, JACOB1) was born Abt. 09 Nov 1799 in Hardy Co., WV. He married MARY SHRADER. 15. i. ADONIJAH4 ALT, b. Abt. 1835, Hardy Co., WV; d. 30 Apr 1892, Clark County, OH. 9. ELIZABETH3 ALT (JACOB2, JACOB1) was born 20 Dec 1778 in Berkeley Co(? ), VA, and died 26 Nov 1826 in Chillicothe, Harrison Twp, Ross Co, OH. She married JOSEPH CLIMER Abt. 1800 in Berkeley Co (? ), VA.
i. DRUSILLA4 CLIMER, b. 19 Jun 1802; d. 22 Mar 1873, Hocking Co, OH; m. JOHN CROSS(ORCROFT). ii. MARY ANN CLIMER, b. 04 Nov 1803; m. HARMON BUNN, 04 Jan 1821.
iii. HARRIET CLIMER, b. 03 Nov 1805; d. 1852; m. ABRAHAM HANKS, 20 Sep 1824. 16. iv. WILLIAM WILLIS CLIMER, b. 15 Sep 1807, VA; d. 16 Jan 1869, Clark Co, OH. v. DANIEL CLIMER, b. 02 Feb 1810; d. 17 Jun 1885, Ross Co., OH; m. (1) REBECCA JONES, 13 Jun 1833; m. (2) MARTHA RILEY, 18 Mar 1847.
vi. HENRY CLIMER, b. 07 Dec 1811; m. FRANCES SCOTT, 23 Jul 1835.
vii. MARY CLIMER, b. 22 Sep 1814; m. (1) DAVID FRANCES, 04 Feb 1831; m. (2) MICHAEL SMITH, 11 Apr 1833. 17. viii. SUSAN CLYMER, b. 19 Feb 1816, OH. 10. JACOB3 ALT III (JACOB2, JACOB1) was born 20 Nov 1782 in Berkeley Co, VA, and died 11 Nov 1833 in Harmony Twp, Clark Co, OH. He married MARY DREW 24 Sep 1809 in Jefferson Co., VA, daughter of MICHAEL DREW and ELIZABETH WOOLF. 18. i. ELIZABETH K.4 ALT, b. 15 Jan 1810, Jefferson Co., VA.
19. ii. SARAH ANN ALT, b. 10 Sep 1811, Jefferson Co., VA.
20. iii. JACOB HENRY ALT, b. 19 Apr 1813, Jefferson Co., VA; d. 08 Jan 1898, Johnson Co, Iowa. 21. iv. JOHN WILLIAM ALT, b. 05 Apr 1815, Jefferson Co., VA; d. 05 Jun 1909, Lawton, Iowa. 22. v. JOSEPH ABNER ALT, b. 12 Feb 1817, Harpers Ferry, Jefferson Co., VA; d. 27 Jan 1904, Johnson Co, Iowa. 23. vi. MARIAH MARIA ALT, b. 19 Mar 1819, Clark Co, OH; d. 05 Nov 1846, Johnson Co, Iowa. 24. vii. MARY ALT, b. 15 Dec 1820, Clark Co, OH; d. 14 Feb 1898, Johnson Co, Iowa. 25. viii. ADAM THOMPSON ALT, b. 20 Aug 1822, Clark Co, OH; d. 04 Oct 1883, Perryville, Perry Co, Ark..
ix. MARGARET EMILY ALT, b. 08 Jan 1825, Clark Co, OH; d. 06 Sep 1843, Johnson Co, Iowa. x. EMERY ALT, b. Bet. 1826 - 1828, Clark Co, OH; d. Bet. 1828 - 1830, Clark Co, OH. 26. xi. ELIZA JANE ALT, b. 13 Oct 1831, Clark Co, OH; d. 14 Jan 1919, Griswold, Cass Co., IA. 11. MARGARET3 ALT (JACOB2, JACOB1) was born Abt. 1785 in Berkeley Co, VA. She married (1) FREDERICK SLY, JR Bef. 25 Dec 1802 in Jefferson Co. ?, VA. She married (2) ROBERT ADDY Bef. Sep 1815.
i. FANNY4 SLY, b. Abt. 1803; m. GEORGE ROBERTS, 04 Oct 1828, Clark Co, OH. ii. ELIZABETH SLY, b. Abt. 1803.
iii. JACOB AULT4 ADDY, b. 17 Apr 1817, Coshocton,OH; d. Aft. 1876, Shellbrug, Greene Co, Iowa; m. MARY ANN RODNEY, 15 Nov 1836, Coshocton Co, OH. 12. WILLIAM3 ALT (JACOB2, JACOB1) was born Abt. 1792 in Berkeley Co, VA, and died 25 Jan 1859 in Chillicothe, Ross Co, OH. He married MARY CROSS Abt. 29 Jun 1817 in Frederick Co, MD. i. EMANUEL4 ALT, b. 12 Nov 1818. 27. ii. REASON ALT, b. 16 Mar 1821, OH; d. 18 Aug 1895, Chillcothe, Ross Co, OH. iii. ESTER ALT, b. Abt. 1822; d. 23 May 1853.
iv. WILLIAM ALT,JR., b. 05 Jan 1824, OH; d. 12 Feb 1912, Ross Co, OH; m. ELIZABETH JONES, 15 Oct 1845, Ross Co, OH. v. MARY KATIE ALT, b. 1826.
vi. AMBROSE ALT, b. 05 Jan 1837; d. 07 Aug 1916, Chandler, OK; m. (1) SARAH JONES, 17 Sep 1857, Ross Co, OH; m. (2) ABIGAIL RAY, 27 Mar 1867, Ross Co, OH. vii. EMILY ALT, b. Abt. 1839; m. JOSEPH BULLOCK, 16 Dec 1858, Ross Co, OH. *13. ADAM3 ALT (JACOB2, JACOB1) was born 25 Mar 1797 in Berkeley Co,VA, and died 10 Mar 1874 in Springfield, Clark Co., OH. He married MARIA E. DREW 09 Feb 1818 in Champaign Co,OH, daughter of MICHAEL DREW and ELIZABETH WOOLF. 28. i. GEORGE W.4 ALT, b. 19 Jan 1820, Moorefield Twp., Clark Co, OH; d. 27 Aug 1899, Clark Co, OH. ii. ANNA E. ALT, b. 15 Nov 1821; d. Aft. 1880. 29. iii. MARGARET JANE ALT, b. 09 Aug 1823, Clark Co., OH; d. 1902, Clark Co., OH. 30. iv. JOSEPH H. ALT, b. 13 Jul 1825, Clark Co., OH; d. 17 Aug 1849, Clark Co., OH. *31. v. MARY ELLEN ALT, b. 05 Apr 1827, Springfield, Clark Co, OH; d. 22 Mar 1916, Springfield, Clark Co., OH. vi. JACOB A. ALT, b. 31 Aug 1829, Springfield, Clark Co, OH. 32. vii. JOHN W. ALT, b. 15 Apr 1832, Clark Co., OH; d. Sep 1879, Clark Co, oH. 33. viii. JAMES A. ALT, b. 19 Nov 1834, Clark Co, OH; d. 21 Jan 1865, Beverly, WV. 34. ix. DANIEL DREW ALT, b. 09 Jan 1837, Clark Co., OH; d. 06 Feb 1920, Clark Co., OH. x. ADAM S. ALT, b. 07 Mar 1840, Clark Co, OH; d. 23 May 1862, Lewisburg, WV. 14. JACOB3 ALT (MICHAEL2, JACOB1) was born 1797. He married MARY GOODNIGHT. ii. HANNAH ALT, m. GEORGE BORROR. 36. iv. ASHER ALT, d. 1876, Pendleton Co, WV. 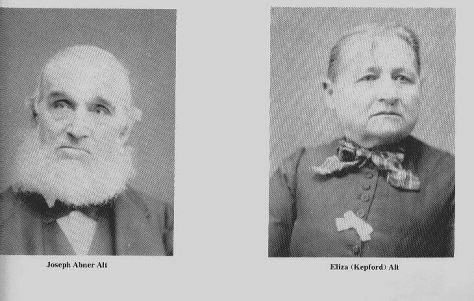 v. CHRISTINA ALT, d. Grant Co, WV; m. JOHN W. HEDRICK. vi. LETITIA ALT, d. Grant Co, WV; m. JOHN W. HEDRICK. 15. ADONIJAH4 ALT (DANIEL3, HENRICK HENRY2, JACOB1) was born Abt. 1835 in Hardy Co., WV, and died 30 Apr 1892 in Clark County, OH. 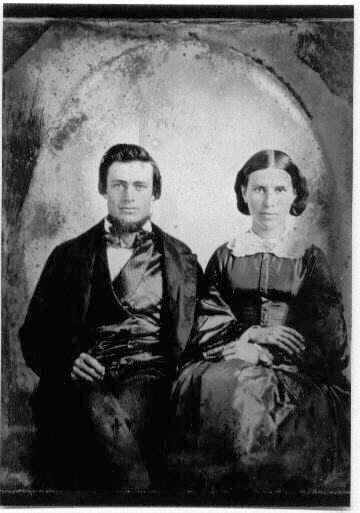 He married MARY S. UNKNOWN 07 Mar 1861.
i. WILLIAM H.5 ALT, b. Abt. 1862, VA; d. 17 Jun 1919, Greene Co, OH. ii. JOHN S. ALT, b. Abt. 1864, VA; m. JANE HILDEBRAN. iii. LAURA M. ALT, b. Abt. 1866, OH. iv. SUSAN EMILY ALT, b. Mar 1866, OH; d. 08 Aug 1946, Yellow Springs, Clark Co, OH; m. SAMUEL W. COX. 37. v. EDWARD H. ALT, b. Abt. 1869, Ohio; d. 20 Feb 1936, Columbus, Franklin Co, OH. vi. ELMER FRANK ALT, b. 03 Jan 1870, Clark County, OH; d. 22 Nov 1940, Clark County, OH; m. ADA BROWN. 38. vii. ALICE B. ALT, b. 22 Mar 1872, Yellow Springs, Greene Co, OH; d. 26 Nov 1945, Yellow Springs, Greene Co, OH. viii. JAMES K. ALT, b. 21 Mar 1874, Clark County, OH; d. 04 Feb 1946, Springfield,Clark County, OH. ix. FOREST ALT, b. Abt. 1876, Clark County, OH; d. 12 Jan 1918, Greene Co, OH. x. CARRIE ALT, b. 12 Feb 1878; d. 15 Jul 1970, Yellow Springs, Greene Co, OH; m. CHARLES LYONS. xi. CORA G. ALT, b. 12 Feb 1878; d. 12 Feb 1878, Clark County, OH. xii. MARTHA C. ALT, b. 10 Nov 1879; d. 16 Jul 1880, Clark Co, OH. xiii. MARY ELIZABETH ALT, b. 10 Nov 1879, Clark County, OH; d. 10 Jul 1880, Clark Co, OH. xiv. 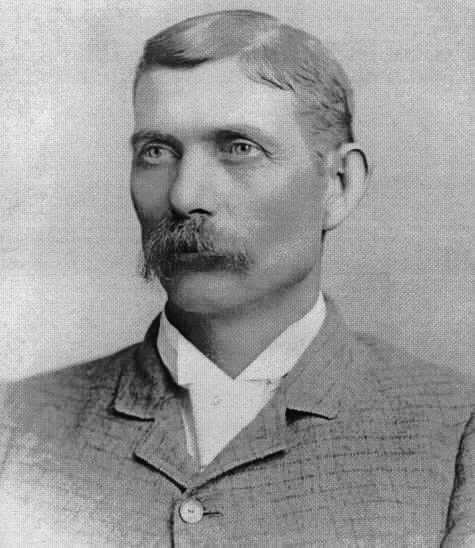 JESSE EARL ALT, b. 31 Jan 1881, Clark Co, OH; d. 04 Jun 1881, Clark Co, OH. 16. WILLIAM WILLIS4 CLIMER (ELIZABETH3 ALT, JACOB2, JACOB1) was born 15 Sep 1807 in VA, and died 16 Jan 1869 in Clark Co, OH. He married BELINDA ARBOGAST 08 Dec 1843 in Clark Co, OH. i. MIANDA5 CLIMER, b. Abt. 1846.
ii. MAHALA CLIMER, b. Abt. 1847.
iii. MATILDA AMANDA CLIMER, b. Apr 1849, Pleasant Twp, Clark Co, OH; m. WILLIAM HARBOR, Abt. 1875. 39. iv. LOUIS CLIMER, b. Apr 1852, Pleasant Twp, Clark Co, OH; d. 21 Nov 1922, Champaign Co., OH. v. HARRIETT CLIMER, b. Abt. 1853.
vi. ROXY CLIMER, b. Abt. 1856. 40. vii. ROLLEY CLIMER, b. Apr 1856, Pleasant Twp, Clark Co, OH. viii. LAURA CLIMER, b. Jul 1859.
ix. WILLIAM CLIMER, b. Jul 1863, OH. 17. SUSAN4 CLYMER (ELIZABETH3 ALT, JACOB2, JACOB1) was born 19 Feb 1816 in OH. She married HENRY ARBOGAST 25 Mar 1839 in Clark Co., OH. i. S. ELIZA5 ARBOGAST, b. Abt. 1840. 41. ii. CHARLES ARBOGAST, b. Dec 1842, OH; d. 18 Apr 1926, Clark Co, OH. 42. iii. JAMES ARBOGAST, b. Jan 1845, OH; d. 1917. 43. iv. ALBERT ARBOGAST, b. Dec 1848, OH. 44. v. MILTON ARBOGAST, b. Feb 1851, Pleasant Twp, Clark Co, OH; d. 1918.
vi. JANE JOANNA ARBOGAST, b. 1858. 18. ELIZABETH K.4 ALT (JACOB3, JACOB2, JACOB1) was born 15 Jan 1810 in Jefferson Co., VA. She married JAMES HOWELL HENDRICKS 11 Oct 1832 in Clark Co, OH. i. SARAH5 HENDRICKS, b. 1838.
ii. NATHAN HENDRICKS, b. 1839; d. 19 Feb 1863.
iii. WILLIAM R. HENDRICKS, b. 1842, Shelby Co, IN; m. ANNA M. ALINDER, 1866. 45. iv. ELIZA OLIVE HENDRICKS, b. 1844. 19. SARAH ANN4 ALT (JACOB3, JACOB2, JACOB1) was born 10 Sep 1811 in Jefferson Co., VA. She married WILLIAM OSBORNE MELVIN 30 Sep 1830 in Clark Co, OH. 46. iii. SILAS MELVIN, b. 1834. 20. JACOB HENRY4 ALT (JACOB3, JACOB2, JACOB1) was born 19 Apr 1813 in Jefferson Co., VA, and died 08 Jan 1898 in Johnson Co, Iowa. He married MARY WEIN 28 Sep 1837 in Henderson Co, IL, daughter of GEORGE WEIN and ELIZABETH ELLIOTT. i. MARIA5 ALT, b. 10 Sep 1838; d. 28 Jan 1881, Johnson Co, Iowa; m. LEMUEL WILSON. ii. SARAH ELIZABETH ALT, b. 17 Aug 1840; d. 26 Aug 1915, Neb. ; m. RICHARD JONES. iii. ELIZA JANE ALT, b. 20 Jan 1843; m. ANDREW H. STATLER. iv. GEORGE WEIN ALT, b. 13 Dec 1844; d. 25 Mar 1855.
v. AMANDA MAUD ALT, b. 09 Jan 1847; d. Dec 1938; m. HENRY BERRY. vi. ARIMINTA ALT, b. 28 May 1849; d. 01 Jun 1849.
vii. LEWIS WILLIAM ALT, b. 15 Dec 1851; m. MARY STEWART. viii. HENRY MILTON ALT, b. 28 Feb 1853; d. 20 Oct 1902; m. VICTORIA MORTON. 47. ix. MARY EMILY ALT, b. 26 Feb 1855; d. 05 Nov 1880, Johnson Co, Iowa. 48. x. CHARLES DUNTON ALT, b. 04 Apr 1857; d. 1945.
xi. ARTHUR ELLIOTT ALT, b. 08 Jun 1859; d. 1944; m. CLARA E. ROBINSON, 1897. 21. JOHN WILLIAM4 ALT (JACOB3, JACOB2, JACOB1) was born 05 Apr 1815 in Jefferson Co., VA, and died 05 Jun 1909 in Lawton, Iowa. He married (1) JANE MALLORY 18 Aug 1836 in Clark Co, OH, daughter of WILLIAM MALORY and ELIZABETH HENDRICKS. He married (2) SUSAN MALLORY 16 Aug 1888 in Mt Pleasant, Henry Co, Iowa, daughter of WILLIAM MALORY and ELIZABETH HENDRICKS. 49. i. MARY ELIZABETH5 ALT, b. 28 Feb 1837, Warren Co, IL; d. 27 Jul 1913, Cherokee Co, IA. ii. ELIZA JENNIE ALT, b. Abt. 1839; d. Jun 1888; m. PETER EBERLY. iii. MARGARET ALT, b. 20 Mar 1841.
iv. GEORGE WASHINGTON ALT, b. 25 Mar 1843; d. 15 Mar 1934; m. ELIZABETH R. ROSS. v. ELIZABETH EMMA ALT, b. Abt. 1846.
vi. WILLIAM H. ALT, b. 20 Jun 1850; m. ADELAIDE CRAIG. vii. ADAM J. ALT, b. Abt. 1852; d. 25 Oct 1885; m. LILLIAN GILLILAND. viii. EVELINE EVA ALT, b. 05 Jun 1853. 22. JOSEPH ABNER4 ALT (JACOB3, JACOB2, JACOB1) was born 12 Feb 1817 in Harpers Ferry, Jefferson Co., VA, and died 27 Jan 1904 in Johnson Co, Iowa. He married ELIZA KEPFORD 25 Jan 1848 in Johnson Co, Iowa, daughter of JOHN KEPFORD and CATHERINE SMITH. 50. i. ALICE MARY5 ALT, b. 17 Nov 1848, Iowa City, Iowa; d. 31 Mar 1932, Mission, TX. ii. JOHN WESLEY ALT, b. 29 Jun 1850; d. 18 Aug 1857.
iii. ALBERT JACOB ALT, b. 06 Apr 1852; d. 15 Jan 1929. 51. iv. ELIZA CATHERINE ALT, b. 12 Dec 1853, Iowa City, Iowa; d. 19 Mar 1949. 52. v. GEORGE JOSEPH ALT, b. 14 Mar 1855; d. 12 Mar 1947.
vi. NELLIE MAY ALT, b. 01 May 1859; d. 11 Nov 1945; m. DAVID H. LATHAM, 28 Nov 1894. 53. vii. ROLAND HARLAN ALT, b. 23 Jun 1864; d. 19 Jul 1949. 23. MARIAH MARIA4 ALT (JACOB3, JACOB2, JACOB1) was born 19 Mar 1819 in Clark Co, OH, and died 05 Nov 1846 in Johnson Co, Iowa. She married DAVID WRAY 10 Dec 1840 in Warren Co, IL. i. RICHARD H.5 WRAY, b. 25 Mar 1843; m. EUDORA DENNIS, 1870.
ii. MARY MARGARET WRAY, b. Jan 1845; d. 31 Aug 1845. 54. iii. MARIA IOWA WRAY, b. 08 Jun 1846. 24. 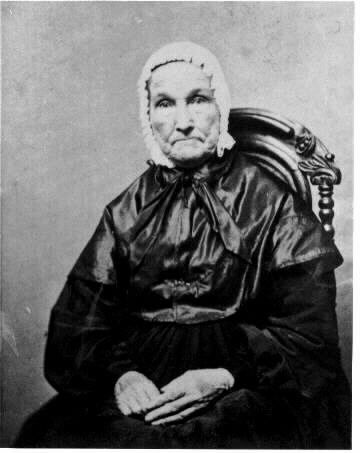 MARY4 ALT (JACOB3, JACOB2, JACOB1) was born 15 Dec 1820 in Clark Co, OH, and died 14 Feb 1898 in Johnson Co, Iowa. She married CARSON B. WRAY 08 May 1842 in Johnson Co, Iowa. i. CATHERINE JANE5 WRAY, b. 12 Dec 1842; d. 27 Feb 1889. 55. ii. MARY ISOBEL WRAY, b. 05 Aug 1844; d. 17 Nov 1875.
iii. JOSEPH CYRUS WRAY, b. 27 Jan 1846; d. Aft. 1880.
iv. DAVID WILLIAM WRAY, b. 07 Jan 1848; m. JENNY VONSTEIN. v. ARABEL WRAY, b. 17 Dec 1851.
vi. MARIAH FLORENCE WRAY, b. 18 Nov 1852.
vii. CLARRA CANDUCY WRAY, b. 19 Nov 1854.
viii. ELIZABETH ANN WRAY, b. 18 Jun 1859; m. CHARLES D. ALT. 25. ADAM THOMPSON4 ALT (JACOB3, JACOB2, JACOB1) was born 20 Aug 1822 in Clark Co, OH, and died 04 Oct 1883 in Perryville, Perry Co, Ark.. He married MARY A. BARNETT 17 Oct 1848 in Ottumwa, Wapella Co., Iowa. i. ELLEN5 ALT, d. As a child. 56. ii. MARY CANDICE ALT, b. Abt. 1850, IN. iii. LILY DALE ALT, b. Abt. 1855.
iv. HARVEY J. ALT, b. Feb 1857, Iowa; d. Bet. 1910 - 1920, Pulaski Co, AK; m. HARRIET (HATTIE?) BELCHER, Abt. 1889, Arkansas. v. FRANK A. ALT, b. Dec 1859. 26. ELIZA JANE4 ALT (JACOB3, JACOB2, JACOB1) was born 13 Oct 1831 in Clark Co, OH, and died 14 Jan 1919 in Griswold, Cass Co., IA. She married JOHN BYRON HALL 12 Apr 1857 in North Liberty, Johnson Co, IA, son of DAVID HALL and ANN HALL. i. MARY A.5 HALL, b. 22 Oct 1857, Johnson Co, IA; d. 09 Oct 1867, Johnson Co, IA. 57. ii. DAVID REUBEN HALL, b. 28 Feb 1860, North Liberty, johnson Co, IA; d. 16 Feb 1933, Noble Twp, Cass Co, IA. iii. CLEMENT FRANK HALL, b. 15 Jul 1866, Madison Twp, Johnson Co, IA; m. MARY A. MURCHISON. 58. iv. OLIVE BELL HALL, b. 13 Nov 1868, Johnson Co, IA. v. ALICE MAY HALL, b. 30 Nov 1870, Johnson Co, IA; d. 01 Jun 1959, Alhambra, CA. 27. REASON4 ALT (WILLIAM3, JACOB2, JACOB1) was born 16 Mar 1821 in OH, and died 18 Aug 1895 in Chillcothe, Ross Co, OH. He married (1) CELENA LONG 03 Nov 1840 in Ross Co, OH. He married (2) CATHERINE COMER 04 Oct 1860 in Ross Co, OH. i. ELIZABETH5 ALT, b. 1843; d. Mar 1923; m. ADAM ROSS, JR., 18 Sep 1866.
ii. EBERTA ALT, b. 1846; d. 23 Feb 1878.
iii. MARTHA ALT, b. 1849; d. 05 Oct 1867.
iv. CELINA ALT, b. 22 Mar 1852; d. 20 Dec 1938, Pottawatomie, KS; m. MASON ROSS, 21 Mar 1872, Ross Co, OH. v. AMANDA5 ALT, b. 14 Sep 1862; d. 19 Feb 1880. 59. vi. MINNIE ALT, b. 1863, OH; d. Aft. 1910.
vii. ALICE ALT, b. 1865; d. Bef. 1900; m. WILLIAM SMALLWOOD, 31 Dec 1885, Ross Co, OH. viii. STANLEY ALT, b. Abt. 1870; m. ELLA WHEELER. 60. ix. JOHN W. ALT, b. Feb 1872, OH. x. EDSON ALT, b. 01 Apr 1874. 61. xi. EDWARD DANIEL ALT, b. 01 Apr 1874, Ohio. 62. xii. MARY ANN ALT, b. 11 Apr 1876, Ross Co, OH; d. 15 Jun 1959, Springfield, Clark Co., OH. 63. xiii. ELWOOD ALT, b. 06 May 1878, Ross Co, OH. 64. xiv. HOWARD ALT, b. Abt. 1879. 65. xv. ELDA ALT, b. May 1882, OH; d. Bef. 1920. 28. GEORGE W.4 ALT (ADAM3, JACOB2, JACOB1) was born 19 Jan 1820 in Moorefield Twp., Clark Co, OH, and died 27 Aug 1899 in Clark Co, OH. He married (1) JANE G. WOOD 09 Jan 1845 in Clark Co, OH, daughter of MATTHEW WOOD and JANE UNKNOWN. 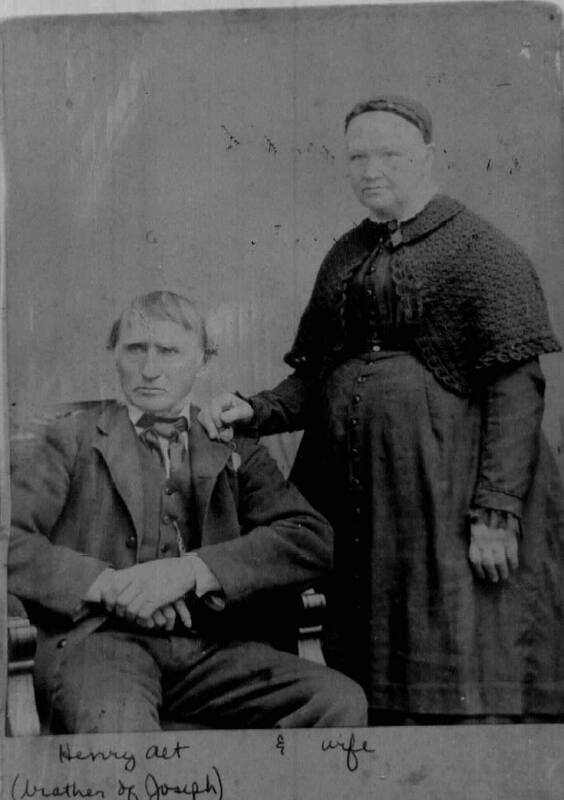 He married (2) MARY JANE TANNER 26 Jun 1861 in Clark Co, OH, daughter of JAMES TANNER and MATILDA UNKNOWN. i. JOSEPH5 ALT, d. Bef. 1860.
ii. MARTHA ALT, d. Bef. 1860. 66. iii. AMANDA V. ALT, b. Jun 1846, Clark Co., OH. 67. iv. JOHN W. ALT, b. 30 Oct 1848, Clark Co., OH; d. 22 Oct 1914, Springfield, Clark Co., OH. 68. v. FRANK W. ALT, b. Mar 1853, Clark County, OH. 69. vi. CHARLES L. ALT, b. Nov 1854; d. Bef. 1910. 29. MARGARET JANE4 ALT (ADAM3, JACOB2, JACOB1) was born 09 Aug 1823 in Clark Co., OH, and died 1902 in Clark Co., OH. She married JOSEPH HINKLE 05 Nov 1840 in Clark Co, OH. i. MARIA5 HINKLE, b. Abt. 1841, Clark Co., OH; m. (1) AUSTIN BLESSINGS; m. (2) JAMES MCBETH, 05 Nov 1867, Clark Co, OH. 70. ii. REBECCA HINKLE, b. Abt. 1844, OH; d. Aft. 1910.
iii. GEORGE HINKLE, b. Abt. 1846; d. Bet. 1850 - 1860. 71. iv. JOHN HINKLE, b. Abt. 1846, OH; d. Bef. 1900. 72. v. HENRY HINKLE, b. Feb 1849, OH; d. Aft. 1910. 73. vi. MARY HINKLE, b. Abt. 1851. 74. vii. ANN HINKLE, b. Apr 1854, OH. 75. viii. AMANDA V. HINKLE, b. Jun 1856, OH; d. Aft. 1920.
ix. MARGARET HINKLE, b. 1857, Springfield, Clark Co, OH. x. IDA BELLE HINKLE, b. Apr 1858; d. Abt. 06 Jun 1936. 76. xi. JOSEPH HINKLE, b. 20 Jul 1860, OH. 77. xii. JAMES HINKLE, b. Abt. Oct 1868, OH. 30. JOSEPH H.4 ALT (ADAM3, JACOB2, JACOB1) was born 13 Jul 1825 in Clark Co., OH, and died 17 Aug 1849 in Clark Co., OH. He married MARY JANE BERRY 07 May 1849 in Clark Co, OH. i. FLORA ANN5 ALT, b. May 1850, Clark Co, OH; d. 21 Jul 1851, Clark Co., OH. *31. MARY ELLEN4 ALT (ADAM3, JACOB2, JACOB1) was born 05 Apr 1827 in Springfield, Clark Co, OH, and died 22 Mar 1916 in Springfield, Clark Co., OH. She married ALONZO RICE 16 Jun 1847 in Clark Co., OH, son of EDWARD RICE and LUCY POOLE. 78. i. ADAM LAFAYETTE5 RICE, b. Abt. 1848, Springfield, Clark Co, OH; d. 26 Sep 1915, Springfield, Clark Co, OH. 79. ii. LUCY JANE RICE, b. Sep 1850, Springfield, Clark Co, OH; d. 20 Aug 1936, Springfield, Clark Co, OH. 80. iii. MARIA ELLEN RICE, b. 04 Aug 1852, Springfield, Clark Co., OH; d. 22 Dec 1941, Springfield, Clark Co, OH. *81. iv. MARY BELLE RICE, b. 27 Feb 1856, Springfield, Clark Co., OH; d. 17 Apr 1944, Springfield, OH. v. CHARLES A. RICE, b. Jun 1862, Springfield, Clark Co., OH; d. 31 Dec 1917, Springfield, Clark Co., OH. 32. JOHN W.4 ALT (ADAM3, JACOB2, JACOB1) was born 15 Apr 1832 in Clark Co., OH, and died Sep 1879 in Clark Co, oH. 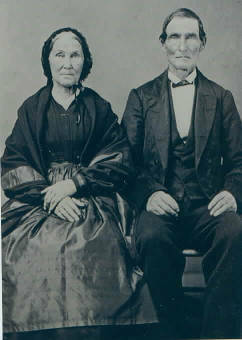 He married MARY MARGARET KNAUB 18 Mar 1856 in Clark Co, OH, daughter of GEORGE KNAUB and MARY UNKNOWN. 82. i. GLADYS5 ALT, b. Jan 1865, Moorefield Twp, Clark Co., Ohio; d. 23 Sep 1937, Clark Co., OH. 33. JAMES A.4 ALT (ADAM3, JACOB2, JACOB1) was born 19 Nov 1834 in Clark Co, OH, and died 21 Jan 1865 in Beverly, WV. He married CATHERINE ARMSTRONG 22 Dec 1859 in Greene Co., OH. i. UNKNOWN5 ALT, b. 17 Sep 1861, Clark Co, OH; d. 17 Aug 1862, Clark Co, OH. 34. 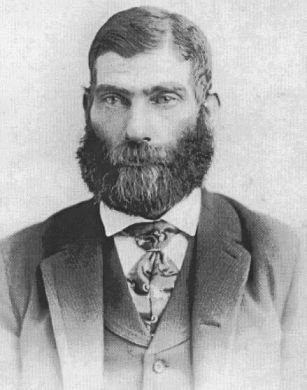 DANIEL DREW4 ALT (ADAM3, JACOB2, JACOB1) was born 09 Jan 1837 in Clark Co., OH, and died 06 Feb 1920 in Clark Co., OH. He married ELLEN E. HINKLE 29 Oct 1868 in Clark Co, OH, daughter of JOHN HINKLE and MARY WAY. 83. i. MICHAEL W.5 ALT, b. 01 Oct 1869; d. 1957.
ii. ADAM S. ALT, b. 12 Aug 1872, Clark Co., OH; d. 1872, Clark Co., OH. 84. iii. JOHN H. ALT, b. 12 Nov 1873, Clark Co., OH; d. 20 Aug 1951, Clark Co, OH. iv. CHARLES L. ALT, b. Jul 1875; d. 24 Feb 1929, Ft Robinson, NE. 35. ISAAC4 ALT (JACOB3, MICHAEL2, JACOB1). He married REBECCAS ELIZABETH JOHNSON. 85. i. ANNA LYDIA5 ALT. 36. 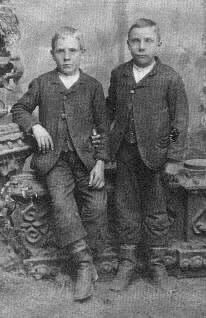 ASHER4 ALT (JACOB3, MICHAEL2, JACOB1) died 1876 in Pendleton Co, WV. He married EMILY HEDRICK, daughter of JACOB HEDRICK. 86. i. HENRY ASA5 ALT, b. 27 Aug 1868, Mill Run District, Pendleton Co, WV. ii. REBECCA J. ALT, d. Grant Co, WV; m. A. S. LANDIS. iii. CHRISTINA ALT, m. GEORGE SITES. 37. EDWARD H.5 ALT (ADONIJAH4, DANIEL3, HENRICK HENRY2, JACOB1) was born Abt. 1869 in Ohio, and died 20 Feb 1936 in Columbus, Franklin Co, OH. He married ELIZABETH HEISTEAD. i. HELEN M.6 ALT, b. Abt. 1905.
ii. ARMAND ALT, b. 02 Sep 1916, Clark Co, OH; d. 13 Dec 1991, OH. 38. ALICE B.5 ALT (ADONIJAH4, DANIEL3, HENRICK HENRY2, JACOB1) was born 22 Mar 1872 in Yellow Springs, Greene Co, OH, and died 26 Nov 1945 in Yellow Springs, Greene Co, OH. She married WILLIAM THORNTON LOE 04 Oct 1893 in Clark Co, OH. 87. i. SALENIA6 LOE, b. Mar 1894, Yellow Springs, Greene Co, OH; d. 1961. 88. ii. AULTA LOE, b. 24 Sep 1900, Yellow Springs, Greene Co, OH; d. 20 Jan 1999, Cecil, AL. 39. LOUIS5 CLIMER (WILLIAM WILLIS4, ELIZABETH3 ALT, JACOB2, JACOB1) was born Apr 1852 in Pleasant Twp, Clark Co, OH, and died 21 Nov 1922 in Champaign Co., OH. He married LIZZIE COSLEY 24 Nov 1891 in Clark Co, OH. i. FLORENCE6 CLIMER, b. Jul 1895, Clark Co, OH; d. 19 Mar 1996; m. UNKNOWN CORBETT. 40. ROLLEY5 CLIMER (WILLIAM WILLIS4, ELIZABETH3 ALT, JACOB2, JACOB1) was born Apr 1856 in Pleasant Twp, Clark Co, OH. He married ELLA COSTELLO 19 Feb 1884 in Clark Co, OH. i. AGNES6 CLIMER, b. Sep 1886.
ii. JAMES FRANK CLIMER, b. 27 Oct 1895, Clark Co, OH; d. 24 May 1981, Clark Co, OH. 41. CHARLES5 ARBOGAST (SUSAN4 CLYMER, ELIZABETH3 ALT, JACOB2, JACOB1) was born Dec 1842 in OH, and died 18 Apr 1926 in Clark Co, OH. He married ELIZA BYERLY 07 Jan 1868, daughter of LEWIS BYERLY and SARAH SHANK. i. ADDIE6 ARBOGAST, b. 16 Jun 1872, Pleasant Twp, Clark Co, OH; m. LEWIS JONES, 21 Dec 1892, Clark Co, OH. 42. JAMES5 ARBOGAST (SUSAN4 CLYMER, ELIZABETH3 ALT, JACOB2, JACOB1) was born Jan 1845 in OH, and died 1917. He married LAURA J. UNKNOWN Abt. 1878 in Clark Co, OH. i. EDNA C.6 ARBOGAST, b. Feb 1879; d. 1937. 43. ALBERT5 ARBOGAST (SUSAN4 CLYMER, ELIZABETH3 ALT, JACOB2, JACOB1) was born Dec 1848 in OH. He married MARY L. UNKNOWN Abt. 1876.
i. ERNEST G.6 ARBOGAST, b. May 1877.
ii. ETHEL E. ARBOGAST, b. Dec 1881.
iii. LAURA S. ARBOGAST, b. Dec 1884.
iv. PEARL G. ARBOGAST, b. Jul 1890. 44. MILTON5 ARBOGAST (SUSAN4 CLYMER, ELIZABETH3 ALT, JACOB2, JACOB1) was born Feb 1851 in Pleasant Twp, Clark Co, OH, and died 1918. He married ELIZABETH MCCLELLAND 14 Oct 1875 in Clark Co, OH. 89. i. CRESTON W.6 ARBOGAST, b. Sep 1879, OH; d. 1969.
ii. ROSS ARBOGAST, b. 1877; d. 1877. 45. ELIZA OLIVE5 HENDRICKS (ELIZABETH K.4 ALT, JACOB3, JACOB2, JACOB1) was born 1844. She married SIMPSON CHESTER. 46. SILAS5 MELVIN (SARAH ANN4 ALT, JACOB3, JACOB2, JACOB1) was born 1834. He married LOVINA UNKNOWN. 47. MARY EMILY5 ALT (JACOB HENRY4, JACOB3, JACOB2, JACOB1) was born 26 Feb 1855, and died 05 Nov 1880 in Johnson Co, Iowa. She married SAMUEL GREEN. 48. CHARLES DUNTON5 ALT (JACOB HENRY4, JACOB3, JACOB2, JACOB1) was born 04 Apr 1857, and died 1945. He married ANNA WRAY. 49. MARY ELIZABETH5 ALT (JOHN WILLIAM4, JACOB3, JACOB2, JACOB1) was born 28 Feb 1837 in Warren Co, IL, and died 27 Jul 1913 in Cherokee Co, IA. She married LLOYD RUSSELL BAKER. 50. ALICE MARY5 ALT (JOSEPH ABNER4, JACOB3, JACOB2, JACOB1) was born 17 Nov 1848 in Iowa City, Iowa, and died 31 Mar 1932 in Mission, TX. She married JOHN ALFRED PICKLER 17 Nov 1870 in Johnson, IA, son of GEORGE PICKLER and EMILY MARTIN. 91. i. LULU ALBERTA6 PICKLER, b. 20 Aug 1871; d. 27 Sep 1965, Aberdeen, SD. ii. EMILY MADGE PICKLER, b. 25 May 1878, Muscatine, IA; d. 05 Jun 1920, Minneapolis, MN; m. NATHANIEL E. HOY. iii. ALFRED AULT PICKLER, b. 13 Mar 1882, Muscatine, IA; d. 25 May 1922, Minneapolis, MN. iv. ALICE DALE PICKLER, b. 23 Aug 1887, Faulkton, Faukt Co, SD; d. 15 Feb 1984, Mission, TX; m. ROY P. CONWAY, 24 Jun 1915. 51. ELIZA CATHERINE5 ALT (JOSEPH ABNER4, JACOB3, JACOB2, JACOB1) was born 12 Dec 1853 in Iowa City, Iowa, and died 19 Mar 1949. She married WILLIAM G. FAULKNER 16 May 1885 in Faulk Co, SD. 92. i. MAUDE CATHERINE6 FAULKNER. 52. GEORGE JOSEPH5 ALT (JOSEPH ABNER4, JACOB3, JACOB2, JACOB1) was born 14 Mar 1855, and died 12 Mar 1947. He married ELDORA COLONY 09 Nov 1882.
ii. GRACE ALT, m. UNKNOWN SHIFFLET. 53. ROLAND HARLAN5 ALT (JOSEPH ABNER4, JACOB3, JACOB2, JACOB1) was born 23 Jun 1864, and died 19 Jul 1949. He married EMMA D. STEWART 04 Dec 1889.
i. MILO6 ALT, b. 21 Apr 1891.
ii. CECIL ALT, b. 18 Jan 1894. 93. iii. HARLAN ALT, b. 20 Jun 1895.
iv. HAZEL ALT, b. 10 Jul 1897.
v. JOE ALT, b. Aft. 1900. 54. MARIA IOWA5 WRAY (MARIAH MARIA4 ALT, JACOB3, JACOB2, JACOB1) was born 08 Jun 1846. She married MILLER YOUNG 10 Jun 1874.
i. MARY BLANCHE6 YOUNG, m. JOHN MEYERS. ii. HENRY MILLER YOUNG, m. ROSE GREEN. iii. WILLIAM WRAY YOUNG, m. CORA MORELAND. iv. MAUDE HESTER YOUNG, m. GEORGE W. BALL. v. IOWA MADGE YOUNG, m. (1) CLARENCE MACY; m. (2) RAYMOND C. FLUSH. 55. MARY ISOBEL5 WRAY (MARY4 ALT, JACOB3, JACOB2, JACOB1) was born 05 Aug 1844, and died 17 Nov 1875. She married JOHN P. OAKES 11 Oct 1865. 56. MARY CANDICE5 ALT (ADAM THOMPSON4, JACOB3, JACOB2, JACOB1) was born Abt. 1850 in IN. She married JOHN W. BURCH Bef. 1869 in St. Louis. i. MINNIE6 BURCH, b. 1869, MO. 57. 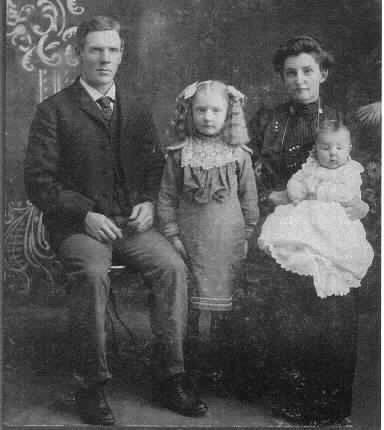 DAVID REUBEN5 HALL (ELIZA JANE4 ALT, JACOB3, JACOB2, JACOB1) was born 28 Feb 1860 in North Liberty, johnson Co, IA, and died 16 Feb 1933 in Noble Twp, Cass Co, IA. He married LAURA FRANCES SHULTZ 20 Feb 1901 in Griswold, Cass Co., Iowa. 94. i. JOHN CARROLL6 HALL, b. 13 Apr 1903, Griswold, Cass, IA; d. 01 Dec 1993, Pasco, Franklin Co, WA. 58. OLIVE BELL5 HALL (ELIZA JANE4 ALT, JACOB3, JACOB2, JACOB1) was born 13 Nov 1868 in Johnson Co, IA. She married HERSHEL W. CLOVIS. 59. MINNIE5 ALT (REASON4, WILLIAM3, JACOB2, JACOB1) was born 1863 in OH, and died Aft. 1910. She married LINCOLN JONES 14 Aug 1890.
i. HOMER6 JONES, b. Abt. 1891.
ii. MARSHAL JONES, b. Abt. 1893.
iii. MAY JONES, b. Abt. 1895.
iv. ROY JONES, b. Abt. 1899.
v. MARIE JONES, b. Abt. 1901.
vi. NORRIS JONES, b. Abt. 1904. 60. JOHN W.5 ALT (REASON4, WILLIAM3, JACOB2, JACOB1) was born Feb 1872 in OH. He married BERTHA ANN STEWART 30 Dec 1893.
i. GAIL M.6 ALT, b. Sep 1894.
ii. PEARL A. ALT, b. Aug 1896.
iii. WADE S. ALT, b. Oct 1899.
iv. CLARA G. ALT, b. Abt. 1901. 61. EDWARD DANIEL5 ALT (REASON4, WILLIAM3, JACOB2, JACOB1) was born 01 Apr 1874 in Ohio. He married JESSIE MARGARET ROSS Abt. 1895 in Ross Co, OH. 95. i. EARL JENNINGS6 AULT, b. 01 Jun 1896, Wyoming, Illinois; d. 06 Oct 1971, W. Palm Beach, FL. ii. BENJAMIN DALE AULT, b. 17 Mar 1898, Ross Co., Ohio. iii. GLEN H. AULT, b. Nov 1899, Ohio. iv. TESSIE J. AULT, b. Abt. 1902, Ohio; d. Aft. 30 Jul 1972; m. UNKNOWN HILEMAN. v. LAURA E. AULT, b. 30 Apr 1905, Ohio; d. Aft. 17 Jan 1987; m. UNKNOWN ERISMAN. 96. vi. PAUL E. AULT, b. 03 Jun 1907, Fayette Co., Ohio; d. 30 Jul 1972, Springfield Twp., Clark Co., OH. vii. MARY J. AULT, b. Abt. 1909; d. Aft. 17 Jan 1987; m. UNKNOWN GANS. viii. BESS AULT, b. Abt. 1911; m. UNKNOWN HANNON. ix. HARRY AULT, b. Abt. 1915. 97. x. BOYCE AULT, b. Abt. 1919; d. 15 Oct 1974, Springfield, Clark Co, OH. 62. MARY ANN5 ALT (REASON4, WILLIAM3, JACOB2, JACOB1) was born 11 Apr 1876 in Ross Co, OH, and died 15 Jun 1959 in Springfield, Clark Co., OH. She married (1) JOHN P. CUSHARD, son of JOHN CUSHARD and SARAH COURTER. She married (2) JOSEPH MAGILL 30 Nov 1898 in Ross Co, OH, son of THOMAS MAGILL and MAHALA SMITH. i. CLARENCE6 MAGILL, b. Apr 1900, Ross Co, OH; d. 12 Jul 1969, Springfield, OH. ii. MYRON MAGILL, b. Abt. 1916. 63. ELWOOD5 ALT (REASON4, WILLIAM3, JACOB2, JACOB1) was born 06 May 1878 in Ross Co, OH. He married (1) ANNA GREY. He married (2) ANNIE KERSEY. i. LENORA6 ALT, b. Abt. 1904.
ii. HERBERT ALT, b. Abt. 1906.
iii. EMMA ALT, b. 10 Sep 1912; d. 13 Aug 1988. 64. HOWARD5 ALT (REASON4, WILLIAM3, JACOB2, JACOB1) was born Abt. 1879. He married (1) ODESSA TESSIE GRAVES. He married (2) MADGE KENNEY. i. MARY CATHERINE6 ALT, b. 1921.
ii. DONALD EUGENE ALT, b. 1922. 65. ELDA5 ALT (REASON4, WILLIAM3, JACOB2, JACOB1) was born May 1882 in OH, and died Bef. 1920. She married RILEY SMITH 01 Jun 1905.
i. HOBART RUSSELL6 SMITH, b. 01 Dec 1909, Clark Co, OH; d. Abt. 11 Jun 1945.
ii. LLOYD SMITH, b. Abt. 1913. 66. AMANDA V.5 ALT (GEORGE W.4, ADAM3, JACOB2, JACOB1) was born Jun 1846 in Clark Co., OH. She married CHARLES H. WOOD 06 Jan 1864 in Clark Co, OH. i. CLARA J.6 WOOD, b. Aug 1864. 98. ii. CORA S. WOOD, b. Jul 1870, OH. iii. ESTELLA WOOD, b. Abt. 1872. 67. JOHN W.5 ALT (GEORGE W.4, ADAM3, JACOB2, JACOB1) was born 30 Oct 1848 in Clark Co., OH, and died 22 Oct 1914 in Springfield, Clark Co., OH. He married (1) REBECCA J. POSEY 27 Dec 1870 in Clark Co, OH. He married (2) MARY J. HAYNES Abt. 1904, daughter of ABRAHAM HAYNES and REBECCA GRANT. 99. i. GERTRUDE GALBREATHE6 ALT, b. 18 Dec 1871, Clark Co., OH; d. 28 Nov 1918, Chattanooga, Comanche Co, OK.
100. ii. MAUDE ELIZABETH ALT, b. 05 Oct 1873, Clark Co., OH; d. Abt. 03 May 1930.
iii. GEORGE WILLIAM ALT, b. 26 Nov 1875, Clark Co., OH; d. 05 Jun 1920, Springfield, Clark Co, OH; m. ALICE M. KNEISLEY. iv. HOWARD B. ALT, b. Abt. 1879, Clark Co., OH. v. J. EARL ALT, b. 09 Oct 1883, Springfield, Clark Co., OH. vi. MARCELLA BERNICE6 ALT, b. 24 Jul 1905, Clark Co., OH; d. 20 Apr 1997, Columbus, Franklin Co, OH; m. UNKNOWN REICHERT. vii. CATHERINE MILDRED ALT, b. 25 Jun 1907, Clark Co., OH. 68. FRANK W.5 ALT (GEORGE W.4, ADAM3, JACOB2, JACOB1) was born Mar 1853 in Clark County, OH. He married OLIVE J. WHITE 30 Mar 1876 in Clark Co., OH. i. ORELIA MAY6 ALT, b. 15 Nov 1877, Clark County, OH; d. Bef. 1880, Clark Co, OH. ii. LOUIS ALDEN ALT, b. 27 May 1879, Clark County, OH; d. Abt. 07 Jul 1953, Clark County, OH. iii. AMANDA BELLE ALT, b. 10 Jul 1887. 69. CHARLES L.5 ALT (GEORGE W.4, ADAM3, JACOB2, JACOB1) was born Nov 1854, and died Bef. 1910. He married MARY A. MOORE 31 Dec 1885 in Clark Co, OH, daughter of UNKNOWN MOORE and MRS. MOORE. 101. i. MARY E.6 ALT. ii. IONA ALT, b. 19 Jan 1887, Clark County, OH; d. 03 Nov 1987, Indian River, Cheboygan Co. MI; m. FRANK L. FORESTER. 70. REBECCA5 HINKLE (MARGARET JANE4 ALT, ADAM3, JACOB2, JACOB1) was born Abt. 1844 in OH, and died Aft. 1910. She married JOHN M. STEWART 18 Apr 1867.
i. MARGARET JENNIE6 STEWART, b. Abt. 1868. 71. JOHN5 HINKLE (MARGARET JANE4 ALT, ADAM3, JACOB2, JACOB1) was born Abt. 1846 in OH, and died Bef. 1900. He married MATILDA E. MILLER 03 Nov 1868 in Clark Co, OH, daughter of SIMEON MILLER and ISABEL GOUDY. i. JESSIE ESTELLA6 HINKLE, b. 18 Feb 1873, OH; d. 15 May 1961, Clark Co, OH; m. ELMER WELCH. 72. HENRY5 HINKLE (MARGARET JANE4 ALT, ADAM3, JACOB2, JACOB1) was born Feb 1849 in OH, and died Aft. 1910. He married VIRGINIA WALTERS 21 Sep 1871. 102. i. LIZZIE J.6 HINKLE, b. Mar 1869, Clark Co, OH; d. Aft. 08 Nov 1929. 103. ii. JAMES C. HINKLE, b. Abt. 1873. 73. MARY5 HINKLE (MARGARET JANE4 ALT, ADAM3, JACOB2, JACOB1) was born Abt. 1851. She married JAMES FOREMAN 02 Mar 1876.
i. INFANT6 FOREMAN, b. May 1880. 74. ANN5 HINKLE (MARGARET JANE4 ALT, ADAM3, JACOB2, JACOB1) was born Apr 1854 in OH. 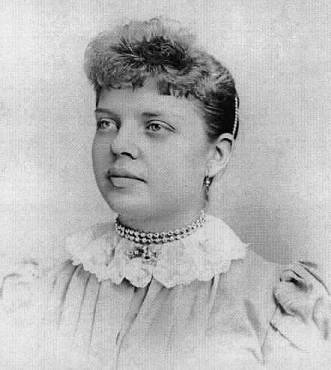 She married GEORGE OTSTOT 25 Jan 1877, son of WILLIAM OTSTOT and REBECCA KNAUB. i. ADA B.6 OTSTOT, b. Mar 1883. 75. AMANDA V.5 HINKLE (MARGARET JANE4 ALT, ADAM3, JACOB2, JACOB1) was born Jun 1856 in OH, and died Aft. 1920. She married GEORGE P. OATES 07 Aug 1879 in Clark Co, OH, son of MATTHEW OATES and LYDIA. i. FLORENCE A.6 OATES, b. Aug 1880.
ii. FOREST PIERSON OATES, b. 03 Feb 1888, Clark Co, OH. iii. CORINNE OATES, b. May 1895; m. RUNELL MCKINLEY. iv. GRETTA OATES, b. Jan 1899. 76. JOSEPH5 HINKLE (MARGARET JANE4 ALT, ADAM3, JACOB2, JACOB1) was born 20 Jul 1860 in OH. He married MARY E. PIERSON 27 Dec 1883 in Clark Co, OH. i. CLARENCE W.6 HINKLE, b. 10 Feb 1885, OH; d. 26 Mar 1961, Springfield, Clark Co, OH; m. GERTRUDE. ii. ETHEL MARIE HINKLE, b. Aug 1893; Adopted child. 77. JAMES5 HINKLE (MARGARET JANE4 ALT, ADAM3, JACOB2, JACOB1) was born Abt. Oct 1868 in OH. He married NETTIE SHILLING 23 Nov 1887 in Clark Co, OH. i. CLIFFORD H.6 HINKLE, b. Sep 1889.
ii. GLENNA HINKLE, b. Oct 1893.
iii. MARIE HINKLE, b. Jul 1896. 78. ADAM LAFAYETTE5 RICE (MARY ELLEN4 ALT, ADAM3, JACOB2, JACOB1) was born Abt. 1848 in Springfield, Clark Co, OH, and died 26 Sep 1915 in Springfield, Clark Co, OH. He married FLORENCE E. MONAHAN 20 Oct 1870 in Clark Co, OH. 104. i. WILLIAM ALONZO6 RICE, b. 19 Feb 1874, Springfield, Clark Co, OH; d. 02 Feb 1935, Springfield, Clark Co, OH. ii. MARY E. RICE, b. Abt. 1884; d. Abt. 21 Feb 1959. 79. LUCY JANE5 RICE (MARY ELLEN4 ALT, ADAM3, JACOB2, JACOB1) was born Sep 1850 in Springfield, Clark Co, OH, and died 20 Aug 1936 in Springfield, Clark Co, OH. She married CALEB A. BYRD 10 Nov 1870 in Clark Co., OH. i. BLANCHE BELL6 BYRD, b. 28 Aug 1871; d. Bef. Aug 1936. 105. ii. GRACE EDNA BYRD, b. 12 Dec 1873, Clark Co, OH; d. 11 Dec 1936, Springfield, Clark Co., OH. iii. MAYME BYRD, b. Feb 1876, Springfield, Clark Co, Ohio; d. 14 Jan 1957, Clark Co, OH; m. UNKNOWN DOUGLASS. 80. MARIA ELLEN5 RICE (MARY ELLEN4 ALT, ADAM3, JACOB2, JACOB1) was born 04 Aug 1852 in Springfield, Clark Co., OH, and died 22 Dec 1941 in Springfield, Clark Co, OH. She married CHARLES M. TOLAND 25 Sep 1872 in Clark Co., OH, son of JOHN TOLAND and MARY BEST. 106. i. CLARENCE W.6 TOLAND, b. 02 Aug 1873, Clark Co, OH; d. 21 Dec 1954, Springfield, Clark Co, OH. ii. CORA E. TOLAND, b. 27 Aug 1886, Wapakoneta, Auglaize Co, OH; d. 25 Dec 1958, Springfield, Clark Co, OH; Adopted child; m. WILLIAM H. DRUMM. 107. iii. CHARLES GRANT TOLAND, b. 20 Jan 1894, Clark Co, OH; d. 03 Jun 1967, Sacramento, CA. *81. MARY BELLE5 RICE (MARY ELLEN4 ALT, ADAM3, JACOB2, JACOB1) was born 27 Feb 1856 in Springfield, Clark Co., OH, and died 17 Apr 1944 in Springfield, OH. She married WESLEY MCDONALD 20 Dec 1877 in Clark Co, OH, son of ROBERT MCDONALD. 108. i. ARTHUR L.6 MCDONALD, b. 07 Jan 1882, Springfield, Clark Co, OH; d. 03 Jan 1932, Indianapolis, IN. ii. FRED W. MCDONALD, b. 14 Sep 1884, Springfield, Clark Co., OH; d. 20 Dec 1940, Springfield, Clark Co., OH; m. ETHEL A. BELL. *109. iii. FLORA BELLE (FLO) MCDONALD, b. 20 Mar 1889, Springfield, OH; d. 10 Dec 1975, Pensacola, Escambia Co., FL. 82. GLADYS5 ALT (JOHN W.4, ADAM3, JACOB2, JACOB1) was born Jan 1865 in Moorefield Twp, Clark Co., Ohio, and died 23 Sep 1937 in Clark Co., OH. She married WILLIAM MAYSE KIRKPATRICK 03 Jan 1883 in Clark Co, OH. i. ZELLA E.6 KIRKPATRICK, b. Mar 1888; m. CHARLES M. BUCHER. 83. MICHAEL W.5 ALT (DANIEL DREW4, ADAM3, JACOB2, JACOB1) was born 01 Oct 1869, and died 1957. He married CARRA F. TUTTLE 05 Jan 1893 in Clark Co, OH, daughter of JACOB TUTTLE and LOUISA CRABLE. i. RALPH C.6 AULT, b. 23 Oct 1893, Clark Co., OH; d. Jun 1984, Cedarville, Greene Co, OH. 110. ii. JAMES HOWARD AULT, b. 13 Sep 1899, Clark Co., OH; d. 15 Jan 1975, Montgomery Co, OH. 84. JOHN H.5 ALT (DANIEL DREW4, ADAM3, JACOB2, JACOB1) was born 12 Nov 1873 in Clark Co., OH, and died 20 Aug 1951 in Clark Co, OH. He married MARY LENA TITUS 27 Jun 1895 in Clark Co, OH, daughter of CARPENTER TITUS and NANCY PAINTER. i. DANIEL LLOYD6 ALT, b. 03 Feb 1897; d. Bef. 20 Jan 1958, Not listed as a survivor on his Mother's Obit. ii. ELMER T. ALT, b. 25 Oct 1899, Clark Co, OH; d. 05 Oct 1964, Clark Co, OH; m. ADDIE UNKNOWN. 85. ANNA LYDIA5 ALT (ISAAC4, JACOB3, MICHAEL2, JACOB1). She married JACOB LOGAN KIMBLE. 111. i. WALTER HENRY6 KIMBLE. 86. HENRY ASA5 ALT (ASHER4, JACOB3, MICHAEL2, JACOB1) was born 27 Aug 1868 in Mill Run District, Pendleton Co, WV. He married MARY E. KIMBLE 12 Apr 1894 in Pendleton Co, WV, daughter of WESLEY KIMBLE and FANNIE MCDONALD. ii. THEODORE ALT, m. CLARICE FRYE. 113. iii. RAPHAEL H. ALT. 87. SALENIA6 LOE (ALICE B.5 ALT, ADONIJAH4, DANIEL3, HENRICK HENRY2, JACOB1) was born Mar 1894 in Yellow Springs, Greene Co, OH, and died 1961. She married R. ALTON HUSTON. 88. AULTA6 LOE (ALICE B.5 ALT, ADONIJAH4, DANIEL3, HENRICK HENRY2, JACOB1) was born 24 Sep 1900 in Yellow Springs, Greene Co, OH, and died 20 Jan 1999 in Cecil, AL. She married JAMES HOWARD AULT, son of MICHAEL ALT and CARRA TUTTLE. i. ELIZABETH7 AULT, m. (1) THOMAS BARKER; m. (2) ROBERT MORRIS. ii. RICHARD WALLACE AULT, d. Bef. 20 Jan 1999. 89. CRESTON W.6 ARBOGAST (MILTON5, SUSAN4 CLYMER, ELIZABETH3 ALT, JACOB2, JACOB1) was born Sep 1879 in OH, and died 1969. He married EDNA VIOLA UNKNOWN. i. DORIS MAY7 ARBOGAST, b. 1905; d. 1987.
ii. HOWARD E. ARBOGAST, b. 1907; d. 1926.
iii. MADELON ARBOGAST, b. 1909; d. 1970; m. UNKNOWN RUPERT. 90. JESSE ELROY6 BAKER (MARY ELIZABETH5 ALT, JOHN WILLIAM4, JACOB3, JACOB2, JACOB1) was born 18 Jun 1876 in Benton Co, IA, and died 06 Aug 1955 in Pierre, Hughes Co., SD. He married LOTTIE DELIA RICHARDSON 12 Jan 1897 in Woodbury Co, IA. i. HAZEL LEILA7 BAKER, b. 09 May 1903, Dixon, Dixon Co, NE; d. 14 Feb 1999, Scottsdale, Maricopa Co, AZ; m. DAVID EDGAR MCGRAW, 14 Jul 1927, Boulder, CO.
91. LULU ALBERTA6 PICKLER (ALICE MARY5 ALT, JOSEPH ABNER4, JACOB3, JACOB2, JACOB1) was born 20 Aug 1871, and died 27 Sep 1965 in Aberdeen, SD. She married WILLIAM J. FRAD Bef. 1909.
i. WILLIAM ALFRED7 FRAD, b. 05 Apr 1909; d. Jul 1974, Rolla, Phelps Co, MO. ii. LOIS ELIZA FRAD, b. 17 Oct 1914.
iii. LULU ALICE FRAD, b. 10 Oct 1911. 92. MAUDE CATHERINE6 FAULKNER (ELIZA CATHERINE5 ALT, JOSEPH ABNER4, JACOB3, JACOB2, JACOB1). She married FREDERICK W. NIEMEYER. i. CATHERINE AUGUSTA7 NIEMEYER, b. 20 Oct 1914. 93. HARLAN6 ALT (ROLAND HARLAN5, JOSEPH ABNER4, JACOB3, JACOB2, JACOB1) was born 20 Jun 1895. 94. JOHN CARROLL6 HALL (DAVID REUBEN5, ELIZA JANE4 ALT, JACOB3, JACOB2, JACOB1) was born 13 Apr 1903 in Griswold, Cass, IA, and died 01 Dec 1993 in Pasco, Franklin Co, WA. He married (1) BERNICE JOY PRATHER 18 Apr 1926 in Rockport, MO, daughter of ROSCOE PRATHER and MATTIE SNYDER. 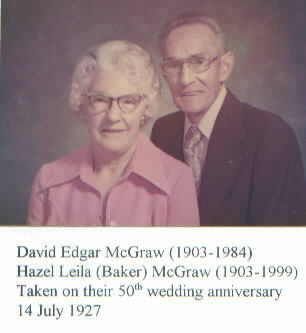 He married (2) EVELYN BLANCHE MITCHELL 18 Jul 1946 in Reedsport, Oregon. i. PRISCILLA7 HALL, m. BUD BOSWELL. 95. EARL JENNINGS6 AULT (EDWARD DANIEL5 ALT, REASON4, WILLIAM3, JACOB2, JACOB1) was born 01 Jun 1896 in Wyoming, Illinois, and died 06 Oct 1971 in W. Palm Beach, FL. He married MARY C. A. BRIMMER Bef. 1921.
i. JOHN H.7 AULT, b. Bet. 1921 - 1922; d. 27 Feb 1941, Gallipolis, OH hospital. ii. ROSEMARY AULT, b. 1928; m. (1) CARL DOTY; m. (2) DALE ALDERMAN; m. (3) UNKNOWN ENGLISH. 96. PAUL E.6 AULT (EDWARD DANIEL5 ALT, REASON4, WILLIAM3, JACOB2, JACOB1) was born 03 Jun 1907 in Fayette Co., Ohio, and died 30 Jul 1972 in Springfield Twp., Clark Co., OH. He married MARY ELIZABETH BRIGHT. i. DONALD E.7 AULT, b. 21 Nov 1928, Springfield, Clark Co, OH; d. 15 Jun 1978, Community Hosp., Springfield, Clark Co, OH; m. ROSEMARY UNKNOWN. ii. HAROLD ROBERT AULT, b. 13 Nov 1929, Springfield, Clark Co, OH; d. 17 Jan 1987, Springfield, Clark Co, OH. 97. BOYCE6 AULT (EDWARD DANIEL5 ALT, REASON4, WILLIAM3, JACOB2, JACOB1) was born Abt. 1919, and died 15 Oct 1974 in Springfield, Clark Co, OH. i. BOYCE DENNIS7 AULT, m. GAIL ANN PARISH. 98. 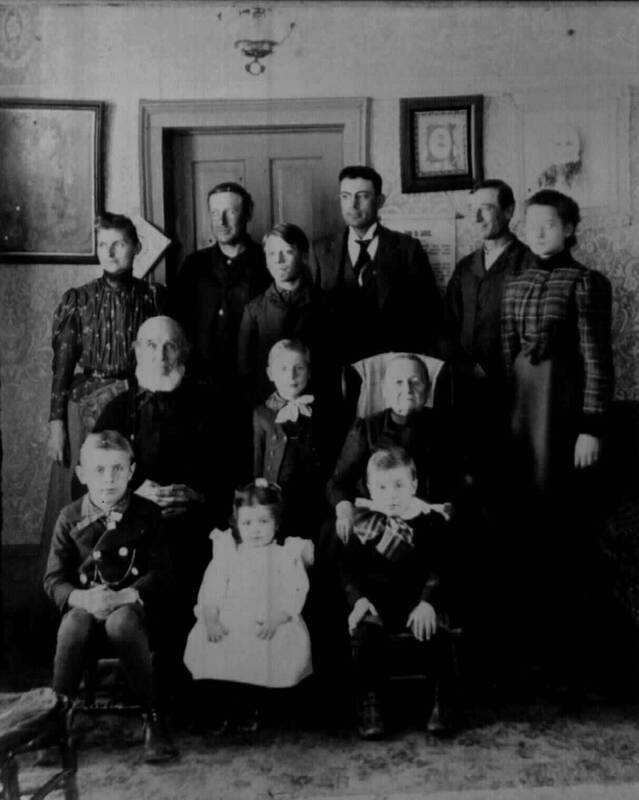 CORA S.6 WOOD (AMANDA V.5 ALT, GEORGE W.4, ADAM3, JACOB2, JACOB1) was born Jul 1870 in OH. She married GEORGE W. WATSON Abt. 1891.
i. CLYDE A.7 WATSON, b. 11 Jun 1898, Clark Co, OH; d. 06 Oct 1975, Springfield, Clark Co, OH. ii. CLARENCE H. WATSON, b. 29 Aug 1888, Springfield, Clark Co, OH. iii. BURRIS G. WATSON, b. Abt. 1900.
iv. NAOMI WATSON, b. Abt. 1905.
v. DORIS J. WATSON, b. Abt. 1909. 99. 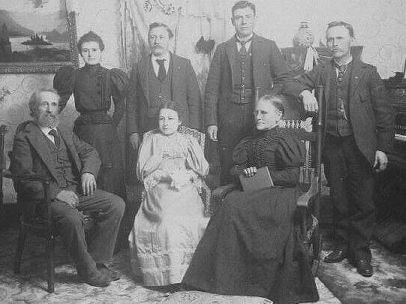 GERTRUDE GALBREATHE6 ALT (JOHN W.5, GEORGE W.4, ADAM3, JACOB2, JACOB1) was born 18 Dec 1871 in Clark Co., OH, and died 28 Nov 1918 in Chattanooga, Comanche Co, OK. She married HARRY GITHEN RHOADS 30 Jun 1891 in Clark Co, OH. i. LESLA RACHEL7 RHOADS, b. Jun 1892; d. 1976; m. ALFRED WEAVER MARKLEY, 1920, Las Cruces, NM. ii. BYRL REBECCA RHOADS, b. Jul 1895, Springfield, Clark Co, OH; d. 10 May 1920, Las Cruces, NM. iii. GITHEN EDD RHOADS, b. 05 Sep 1899, Clark Co, OH; d. 24 Sep 1990, Comanche Co, OK; m. RUTH PANSY PAULINE ASH, 1920, Lawton, Commanche Co, OK.
100. MAUDE ELIZABETH6 ALT (JOHN W.5, GEORGE W.4, ADAM3, JACOB2, JACOB1) was born 05 Oct 1873 in Clark Co., OH, and died Abt. 03 May 1930. She married HARVEY HOWDESHELT 05 Jun 1889 in Clark Co, OH. i. CLAUD7 HOWDESHELT, b. 08 Sep 1889, OH; d. 12 Sep 1964, CA; m. BESSIE LAKE PHILLIPS, 28 Aug 1912, Dayton, OH. ii. DELLA HOWDESHELT, b. Oct 1891.
iii. JOHN W. HOWDESHELT, b. 19 Jan 1896, OH; d. 29 Oct 1961, Dayton, Montgomery Co., OH. 101. MARY E.6 ALT (CHARLES L.5, GEORGE W.4, ADAM3, JACOB2, JACOB1). She married (1) WILLIAM J. DAY. She married (2) UNKNOWN ZIMMERMAN. i. KARL C.7 ZIMMERMAN, d. Abt. 22 Jan 1979. 102. LIZZIE J.6 HINKLE (HENRY5, MARGARET JANE4 ALT, ADAM3, JACOB2, JACOB1) was born Mar 1869 in Clark Co, OH, and died Aft. 08 Nov 1929. She married WEBSTER NAWMAN 01 Nov 1894 in Clark Co, OH. i. HARRY HINKLE7 NAWMAN, b. Nov 1890, Springfield, Clark Co, OH. ii. GRACIE NAWMAN, b. Feb 1895; m. KENNETH DOSS. iii. ELMER NAWMAN, b. Jul 1896.
v. ORIS NAWMAN, b. 25 Nov 1908; d. Jan 1978, Piqua, Miami Co, OH. vi. WILBUR NAWMAN, b. 13 Feb 1904; d. Oct 1979, Dayton, Montgomery Co., OH. 103. JAMES C.6 HINKLE (HENRY5, MARGARET JANE4 ALT, ADAM3, JACOB2, JACOB1) was born Abt. 1873. He married CORA C. UNKNOWN. i. THODORE7 HINKLE, b. Abt. 1900.
ii. THERON HINKLE, b. Abt. 1902.
iii. EDWIN W. HINKLE, b. Abt. 1905.
iv. CHARLES HINKLE, b. Abt. 1909. 104. WILLIAM ALONZO6 RICE (ADAM LAFAYETTE5, MARY ELLEN4 ALT, ADAM3, JACOB2, JACOB1) was born 19 Feb 1874 in Springfield, Clark Co, OH, and died 02 Feb 1935 in Springfield, Clark Co, OH. He married DEVELLA K. WILSON. i. EMILY7 RICE, b. 26 Jul 1900, Springfield, Clark Co., OH; d. Jan 1984, Washington, C.H., Fayette Co., OH; m. JOSEPH COBERLY. 105. GRACE EDNA6 BYRD (LUCY JANE5 RICE, MARY ELLEN4 ALT, ADAM3, JACOB2, JACOB1) was born 12 Dec 1873 in Clark Co, OH, and died 11 Dec 1936 in Springfield, Clark Co., OH. She married JOHN WILLIAM KLAPP 07 Jul 1892 in Clark Co, OH. i. WILLIAM ALONZO7 KLAPP, b. 01 Dec 1892, Springfield, Clark Co., OH; d. 05 Aug 1953, Springfield, Clark Co., OH. 106. CLARENCE W.6 TOLAND (MARIA ELLEN5 RICE, MARY ELLEN4 ALT, ADAM3, JACOB2, JACOB1) was born 02 Aug 1873 in Clark Co, OH, and died 21 Dec 1954 in Springfield, Clark Co, OH. He married (1) MINON IRENE BENTZEL 11 Nov 1896 in Clark Co, OH. He married (2) OLIVE MAE CLARK Aft. Mar 1926.
i. GLENNA7 TOLAND, b. Abt. 1898; d. Abt. 10 Feb 1960; m. WILBUR JACOBS. ii. WILBUR B. TOLAND, b. 09 Mar 1900, Columbus, Franklin Co, OH; d. 07 Jan 1981, Springfield, Clark Co, Ohio; m. MARTHA N. SHANK. iii. LOUETTA TOLAND, b. Abt. 1904; m. JOHN SCHMINK. 107. CHARLES GRANT6 TOLAND (MARIA ELLEN5 RICE, MARY ELLEN4 ALT, ADAM3, JACOB2, JACOB1) was born 20 Jan 1894 in Clark Co, OH, and died 03 Jun 1967 in Sacramento, CA. He married NELLIE SCHENK Jun 1915.
i. WILLIAM GRANT7 TOLAND, SR, b. 19 Nov 1924, Springfield, Clark Co., OH; d. 24 Apr 2000, Roseville, CA. 108. ARTHUR L.6 MCDONALD (MARY BELLE5 RICE, MARY ELLEN4 ALT, ADAM3, JACOB2, JACOB1) was born 07 Jan 1882 in Springfield, Clark Co, OH, and died 03 Jan 1932 in Indianapolis, IN. He married MAY MCINTIRE 11 Jun 1907 in St. Mary's, OH, daughter of CHARLES MCINTIRE and CLARA UNKNOWN. i. CLARA BELLE7 MCDONALD, b. Abt. 1915; d. 15 Sep 1973, Cincinnati, Hamilton Co, OH; m. STANLEY A. MORSBACH. *109. FLORA BELLE (FLO)6 MCDONALD (MARY BELLE5 RICE, MARY ELLEN4 ALT, ADAM3, JACOB2, JACOB1) was born 20 Mar 1889 in Springfield, OH, and died 10 Dec 1975 in Pensacola, FL. She married ARTHUR LESTER FOLEY 12 Dec 1911 in First Baptist Church, Springfield, Clark Co, OH, son of CHARLES FOLEY and ANNA TOLAND. i. ANNABEL7 FOLEY, b. 21 Oct 1915, Springfield, OH; d. 11 Nov 1915, Springfield, OH. *ii. BARBARA LOU FOLEY, b. 28 Sep 1921, Springfield, Clark, Ohio, USA; d. 08 Mar 1996, Pensacola, Escambia, Florida, USA; m. JACK ALLEN MARTIN, 09 Jun 1945, Springfield, Clark, Ohio, USA. JACK ALLEN MARTIN died 04 Oct 1999, Penscola, Escambia, Florida. 110. JAMES HOWARD6 AULT (MICHAEL W.5 ALT, DANIEL DREW4, ADAM3, JACOB2, JACOB1) was born 13 Sep 1899 in Clark Co., OH, and died 15 Jan 1975 in Montgomery Co, OH. He married AULTA LOE, daughter of WILLIAM LOE and ALICE ALT. 111. WALTER HENRY6 KIMBLE (ANNA LYDIA5 ALT, ISAAC4, JACOB3, MICHAEL2, JACOB1). He married ROSETTA WILSON. i. WALTER LUZIER7 KIMBLE, m. ANNABELLE OURS. 112. SADIE6 ALT (HENRY ASA5, ASHER4, JACOB3, MICHAEL2, JACOB1). She married M. H. ROBY. 113. RAPHAEL H.6 ALT (HENRY ASA5, ASHER4, JACOB3, MICHAEL2, JACOB1). He married GLENNA FREYE.